The trip was led by Senate President Stanley Rosenberg. The state chapter of the nation’s largest peace organization is making life difficult for nine state senators who took a free 10-day junket to Israel. It has filed a complaint with the State Ethics Committee, charging they violated the Massachusetts conflict of interest statute. Massachusetts Peace Action contends that by accepting the $4,000 trip from a pro-Israel lobbying group at the State House just two months after voting to pass pro-Israel legislation, the senators failed to demonstrate they met the legal threshold that exempts them from the conflict law. 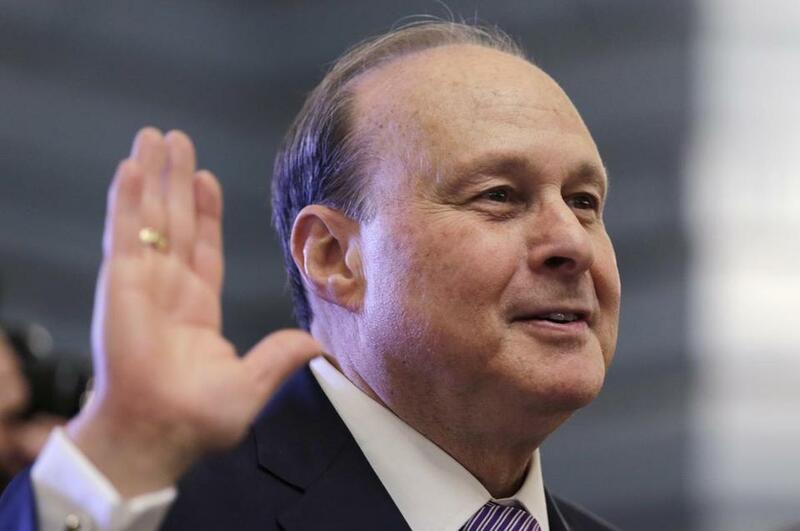 The trip, led by Senate President Stanley C. Rosenberg, was organized and paid for by the Jewish Community Relations Council of Greater Boston, an agency which has been paying for legislators’ trips to Israel for years. As a social service agency, it spends several hundred thousand dollars a year lobbying the Legislature, much of it for funding social services. Massachusetts Peace Action, which has been highly critical of Israel’s approach to Palestinian statehood, is questioning the Ethics Commission’s policy that allows legislators to simply declare their free travels are legal because they have a “legitimate public purpose.” That typically means promoting tourism, economic development, and education goals for Massachusetts. But the itinerary for the December trip — floating in the Dead Sea and visiting a nearby spa, visiting ancient markets, taking “ethnic tasting tours,” attending meetings about Israeli security, and even visiting Jesus’s birthplace — included far more sightseeing than anything connected to Massachusetts. “On issues of such high public interest and controversy as BSD, money should not be allowed to corrupt the political process,’’ said MAPA’s Susan Nicholson. BSD refers to the boycott, divestment, and sanctions campaign against Israel that Massachusetts Peace Action promotes. The Senate has insisted that the senators’ exposure to Israel’s business, political, and government officials is important for the state. Besides Rosenberg, the complaint cites the other eight senators who accepted the free trip. They are: Democrats Ben Downing of Pittsfield, Anne Gobi of Spencer, John Keenan of Quincy, Barbara L’Italien of Andover, Karen Spilka of Ashland, Michael Barrett of Lexington, Eileen Donoghue of Lowell; and Republican Richard Ross of Wrentham.